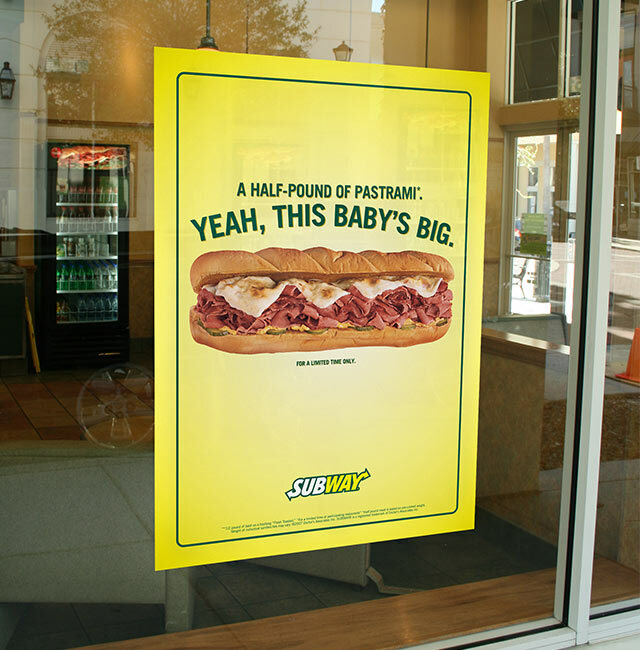 Quiznos was running national TV spots attacking Subway, claiming that Subway had very little meat on their subs. 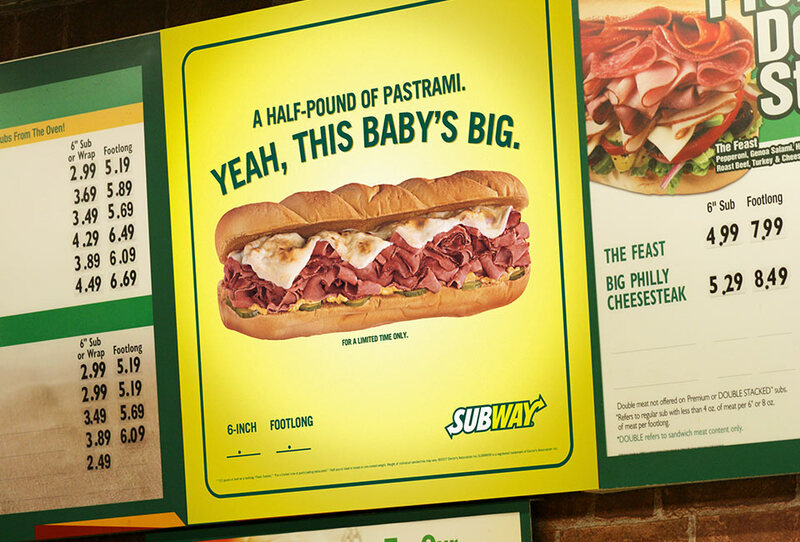 To counter this claim, Subway introduced a new sub: the Big Hot Pastrami—a big, meaty ½-pound sub. 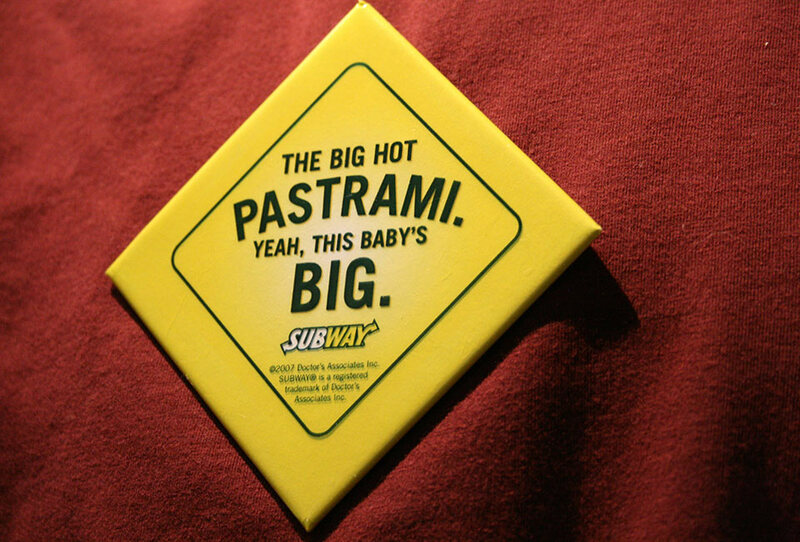 To promote it, we created a multi-platform campaign that played off of the theme line "The Big Hot Pastrami. Yeah, This Baby’s Big."